The Yodock barrier range offers exceptional durability and performance in many applications. Constructed from high-strength UV stabilized plastic these water filled barriers are resistant to the sun, snow, and of course impacts. Fully approved by the Federal Highway Administration (FHWA) the Yodock range meets all the required state safety guidelines for its intended applications. ADA Compliant Pedestrian Walkways - Complete with a continuous top and bottom rail, improving safety for the visually impaired. Easy To Transport - Get more on a vehicle than concrete barriers, making transport more cost effective and efficient. No Heavy Lifting Equipment Required - Our range of Yodock products can all be installed without the requirement for heavy lifting equipment. Improving safety and saving money. Yodock Fence Tops available - We can supply you with fence tops and other accessories to tailor the Yodock barricade to your needs. 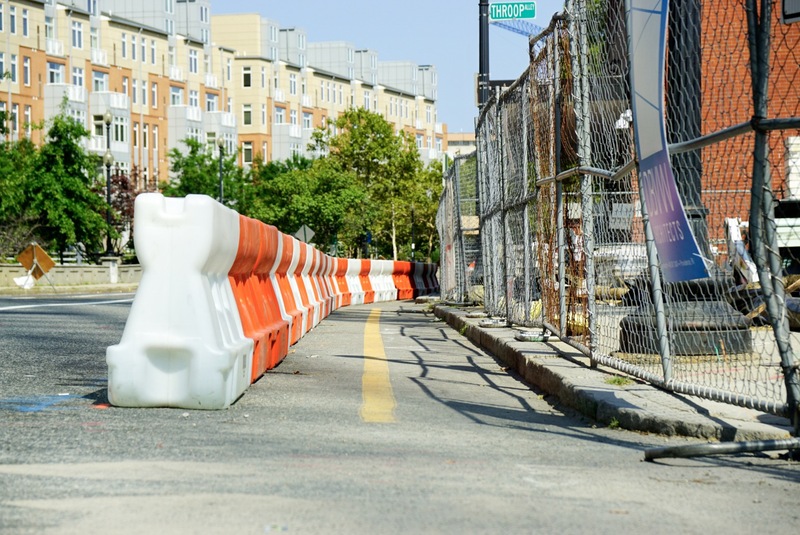 Use these barriers to keep cars, vans, and trucks of all sizes in their lane and away from pedestrians. When used as a longitudinal channelizing device (LCD) these barricades are excellent for pedestrian safety. 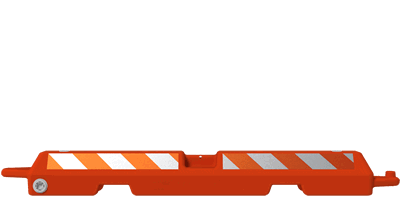 Use these barriers in conjunction with a fence top panel to prevent unauthorized access to construction sites. Keeping unexpected pedestrians out improves safety for all in the area and can reduce theft. Prevent cars and people bypassing security at large events, creating a safe perimeter where security checkpoints and be established. Keep road traffic a safe distance from your workforce, improving safety for all involved. For this application, a safety rail can be installed to brace the barriers and keep them aligned. There are four key models of the Yodock water filled barrier available for general highway, security and construction channelizing applications. These include the 2001, 2001M, 2001MB and 2001SL barriers. The Aerocade barricade is specific to airport use with many additional accessories include warning flags and warning lights. We have compared the range here to show you the key differences allowing you to make an informed choice about the best system for your needs. Height 46" 32" 32" 18" 10"
Width 24" 18" 18" 20" 10"
Empty Weight 130 lbs. 75 lbs. 85 lbs. 38 lbs. 20 lbs. Filled Weight 1,500 lbs. 750 lbs. 900 lbs. 330 lbs. 205 lbs. We have a whole range of accessories available to purchase or rent, these include fence tops, hoarding, brackets, corner sections and much more. If you require any assistance or advice regarding these accessories, please call us at (800) 671-966. Not looking to buy? We offer a rental service on the Yodock Range. Give our sales team a call or drop us a message to find out about our competitive rates. 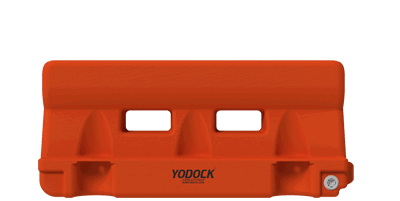 Why Choose Start Traffic For Your Yodock Barrier Requirements? We go the extra mile to ensure that you get the product you need, where you need it, on budget and on time. Our customer service is unbeatable. We offer highly competitive prices, with sales staff who know the products and can provide assistance and advice. This all helps ensure that you, the customer get the best service and price. Call today and see what we can do for you at (800) 671-9662.